Professor Tom Calma AO is an Aboriginal elder of the Kungarakan tribal group, a member of the Iwaidja tribal group and a tireless champion for the rights, responsibilities and welfare of Aboriginal and Torres Strait Islander Australians. Professor Calma is the first Aboriginal or Torres Strait Islander man to hold the position of Chancellor of any Australian university. For the majority of his working life Professor Calma has been a career Commonwealth public servant responsible for both Indigenous and non-Indigenous policy and programs. Professor Calma has been involved in and with the tertiary education sector since 1980 as an academic, in representing Australia’s interest in all education sectors internationally, on research grants, in reviewing administrative and academic structures and on advisory boards and committees at eight universities. Professor Calma has been a member of the University of Canberra Council since 2008 and was appointed as Chancellor by Council, commencing on 1 January 2014. He was reappointed to the role in 2017 and will continue in the role until 2020. Professor Calma is also an Adjunct Professor at the University of Queensland and an Adjunct Associate Professor at the Australian National University. Between 1995 and 2002, Professor Calma represented Australia’s education and training interests as a senior diplomat in India and Vietnam; and in 2003, he served as Senior Adviser for Indigenous Affairs to the Honourable Philip Ruddock MP in his capacity as the Minister of Immigration, Multicultural and Indigenous Affairs. Professor Calma served as Aboriginal and Torres Strait Islander Social Justice Commissioner at the Australian Human Rights Commission from 2004 to 2010 and as the Race Discrimination Commissioner from 2004 until 2009. Professor Calma’s 2005 Social Justice Report – focusing on Indigenous health equality – was the catalyst for the Close the Gap campaign. The report called on Australian governments to commit to achieving equality for Aboriginal and Torres Strait Islander people in the areas of health and life-expectancy within a generation (25 years) and advocated embedding a social determinants philosophy into public policy around health, education, employment, housing and behaviours in order to address Indigenous inequality gaps. In 2012, Professor Calma was awarded an Order of Australia; Officer of the General Division (AO) and named ACT Australian of the Year 2013 for his service and commitment to the Indigenous community as an advocate for human rights and social justice. In October 2015, Professor Calma was awarded one of four inaugural University of South Australia Alumni Awards for his service to society and in November 2015 was awarded the Public Health Association Australia’s pre-eminent Sidney Sax Public Health Medal for notable contribution to the protection and promotion of public health, advancing community awareness of public health measures and advancing the ideals and practice of equity in the provision of health care. In July 2016, Professor Calma received the Martin Luther King Jr Memorial Flag Award on the 240th anniversary of the United States of America’s independence. Professor Calma is Co-Chair of Reconciliation Australia, Chair of the not-for-profit organisation Ninti One Ltd and Patron and Chair of the Poche Centres for Indigenous Health Network. Professor Calma was appointed a Professor with the University of Sydney’s Medical School to Chair the Poche Indigenous Health Network on 1 January 2015. In 2008, Professor Calma delivered the formal response to the government’s National Apology to the Stolen Generations. In March 2010, Calma was appointed National Coordinator Tackling Indigenous Smoking to lead the fight against tobacco use in Aboriginal and Torres Strait Islander communities. In July 2016 Professor Calma was appointed as an external member of the Australian Public Service Secretaries’ Equality and Diversity Council and in October he was appointed the inaugural Chair of the Atlantic Fellows for Social Equity program led by the University of Melbourne. 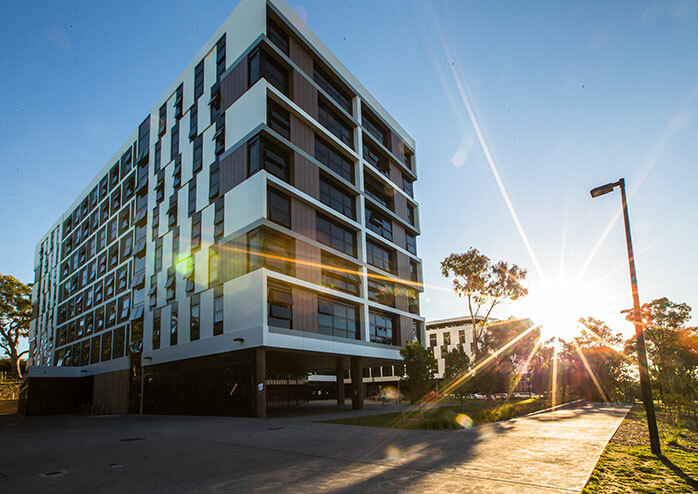 The University of Canberra (UC) is a world-ranked institution located in the nation’s capital. We have made great strides for a young university, and our Strategic Plan outlines our vision to become a distinctive community for lifelong learning, serving as a beacon of sustainable, smart and connected living. The University is ranked among the world’s top 100 universities under the age of 50 and the top two per cent of universities overall. * It is also ranked in the top 100 Asia-Pacific universities, and is 30th in the world for Gen-Y Universities. Our dual focus on providing professional education and undertaking mission-oriented, problem-solving research makes UC an attractive place for people to study and work, whether at our flagship Canberra campus or through our joint-ventures around Australia and abroad. We are committed to preparing professional and highly employable graduates with the right mix of skills and knowledge. Key to this goal is our focus on work-integrated learning which offers each of our more than 17,000 students the opportunity to hone their skills in a real-work environment. Our graduates enjoy 90 per cent graduate employment and above-average graduate starting salaries** and many of our 82,000 alumni hold influential positions in public and private sectors in 120 countries. We are a leading sports institution with strong ties to elite sporting teams. We proudly own the WNBL team University of Canberra Capitals and were one of eight Australian universities to compete in the inaugural Uni 7s Series. We support W-League team Canberra United and the ACT Brumbies Super Rugby team call our campus home. Anchored in Australia’s capital, we work with government, business and industry to serve our communities and nation, and ground-breaking discoveries by our researchers have spun commercial, advisory and social enterprises. UC has also launched its Aboriginal and Torres Strait Islander Strategic Plan , outlining a university-wide approach to closing the gap between Aboriginal and Torres Strait Islander and non-Indigenous Australians across four main areas: academic, research and innovation, employment, and community engagement. Through a transformative campus development plan, the University will continue to evolve into an interactive, connected hub of scholars, learners and innovators. The University of Canberra Hospital: Specialist Centre for Rehabilitation, Recovery and Research (UCH), opening on campus in June 2018, will become a cornerstone facility in the University’s rapidly developing Health Precinct. The subacute care facility will specialise in the provision of rehabilitation, mental health, and aged care health services. Other projects include a cancer care centre, aged care facility and residential development. These join an on-campus Health Hub that includes a GP Super Clinic, a pharmacy, student-led health clinics and other health services. An ambitious campus development plan is in place. With a commitment to lifelong learning and flexible study options. With a strong emphasis on student support and work integrated learning. Also ranked in the world's top 100 young universities. The governing body of the University, the Council, is established under the University of Canberra Act 1989 (ACT) and is responsible for the entire management of the University. The Council sets the strategic direction of the University and drives performance through the appointment of the Vice-Chancellor and President, oversight and review of the business plan and budget, oversight of academic activities and the monitoring of risk and the systems of control and accountability. Copyright (c) 2016 - 2019 University Chancellors Council. The University Chancellors Council (UCC) comprises the following members Australian Catholic University, The Australian National University, Bond University, Charles Darwin University, Charles Sturt University, CQUniversity, Curtin University, Deakin University, Edith Cowan University, Federation University Australia, Flinders University, Griffith University, James Cook University, La Trobe University, Macquarie University, Monash University, Murdoch University, Queensland University of Technology, RMIT University, Southern Cross University, Swinburne University of Technology, The University of Adelaide, The University of Adelaide, The University of Melbourne, The University of New England, The University of Newcastle, The University of Notre Dame Australia, The University of Queensland, The University of Sydney, The University of Western Australia, University of Canberra, University of New South Wales, University of South Australia, University of Southern Queensland, University of Tasmania, University of Technology Sydney, University of the Sunshine Coast, University of Wollongong, Victoria University, Western Sydney University (the Member Universities) and copyright in the material prepared by the UCC is jointly owned by the Member Universities, unless otherwise indicated.